Congratulations to all of the 2017 Kick Off The Heels tournament 1st and 2nd place teams! Thank you to all of the teams that participated! We had a great time and saw some amazing soccer from you ladies!!! We are proud to partner with Las Cruces Youth Soccer League on the Kick Off tournaments! 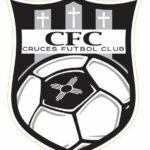 Las Cruces Youth Soccer League is the only youth soccer league in Las Cruces, NM and with the city being a huge soccer community, they currently have over 250 registered teams. They are dedicated to recreation and the development of the overall abilities of every player in a safe, positive environment without regard to gender, race, ethnicity or economic status.